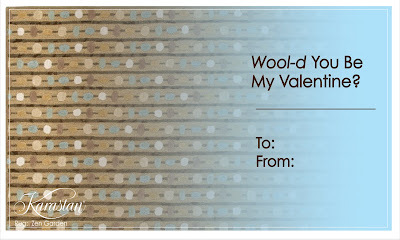 "Wool-d You Be My Valentine?" 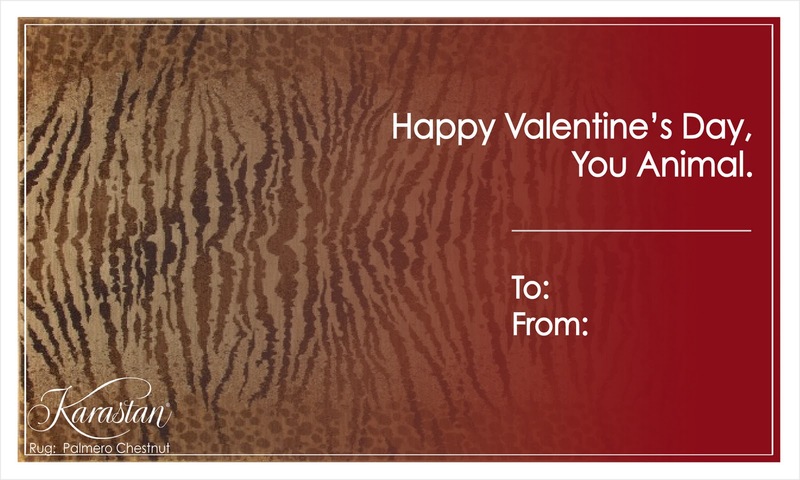 That's the question my friend, Josh Schoenfelder, asked in an email as he shared with me marvelous Valentines from Karastan Carpet. Josh works for Veeder + Perman which represents Karastan Carpet & Rugs [and Coverings where I offer educational seminars]. 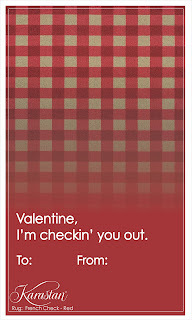 He and I have exchanged tweets and emails for over a year - about carpet, Coverings and Tweetups. 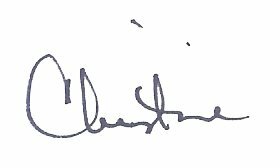 One of these days I will make the trek from my office in New Jersey to his in New York City to meet him in person. 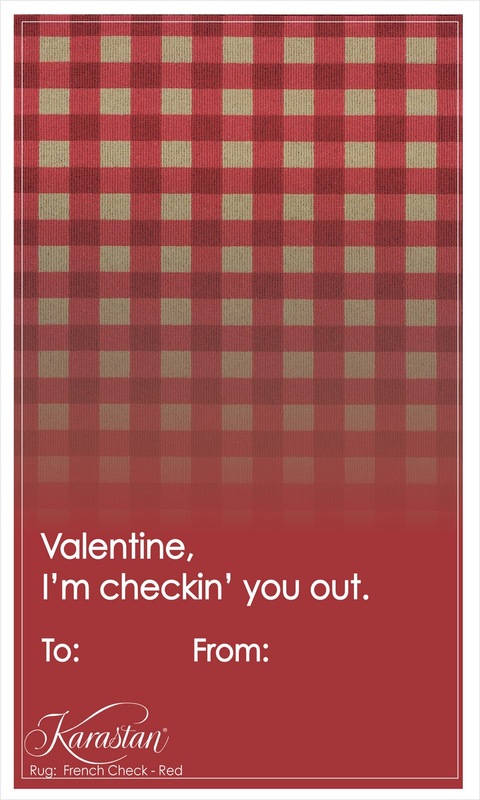 I wanted to send some Karastan-A-Grams your way. 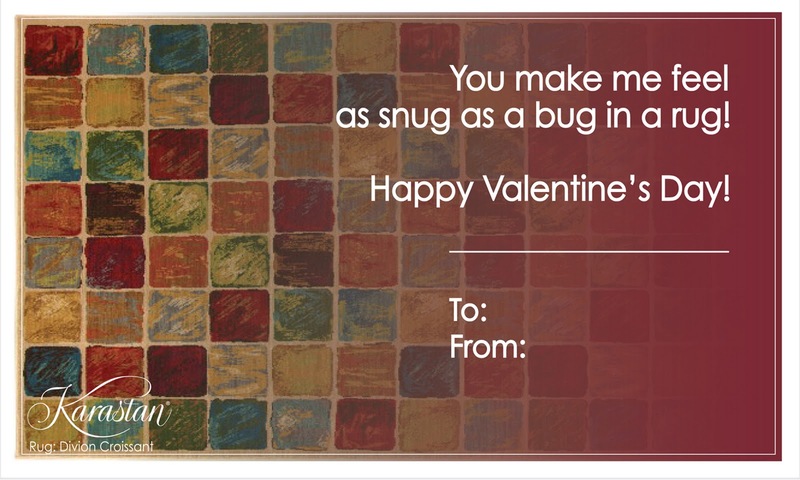 This year, Karastan was “feeling the love” and created the catchy and cute Valentine’s cards using the beautiful designs of Karastan rugs as the artwork. They're also part of a Facebook contest, where consumers can fill out and upload on Karastan's Facebook wall: www.facebook.com/KarastanCarpetsandRugs. Thought this might make for a fun blog post? 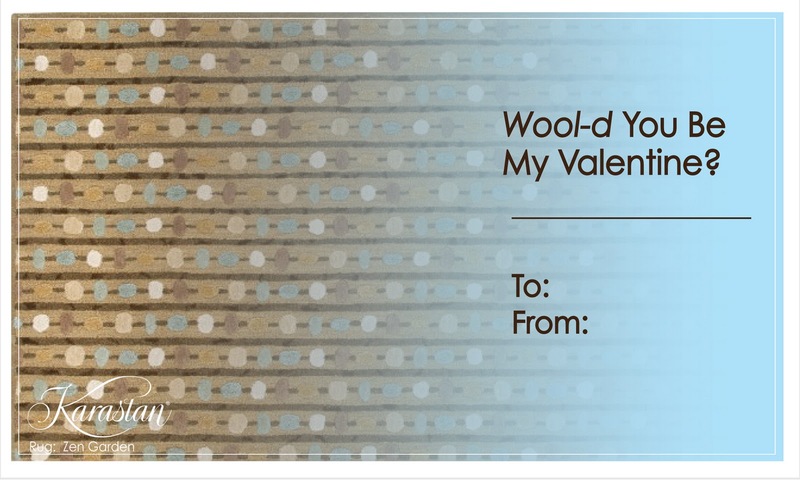 If not, "wool-d" you still be my Valentine? Ha! 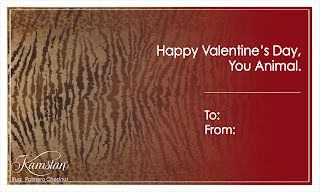 The last time I wrote a post in honor of Valentine's Day, I focused on the color red. [You might enjoy the post. It's titled Red Around the World.] As much as I enjoyed learning about the different meanings of the color red, I love the idea of Valentines based on carpet and rug artwork. 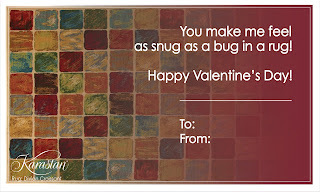 So, which is your favorite Karastan Carpet Valentine? 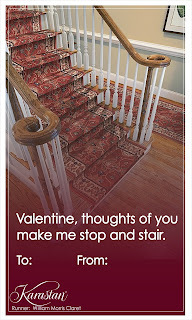 Go visit the Karastan Facebook Page and spread the carpet love. Welcome to The Carpetology Blog! Here, you'll find thoughts, ideas, resources and links about all things carpet... from design inspiration, to carpet-in-the-news, tips on installing, maintaining and buying carpet, to explaining about the different carpet style trends available. If you don't find what you're looking for, please let me know. Look for us on Alltop amidst all the top Corporate Blog News! 4Q Survey - Thank Your For Participating and Helping Us Improve!